Crowdlending is a debt-based crowdfunding model and form of alternative finance sometimes referred to as P2P lending or P2B)with great potential for both economic and social impact. 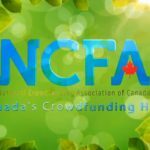 On July 17, 2014, Gabe Nasr (moderator) recorded a google hangout with two of the crowdlending leaders in the space (who both happen to be based in BC). Loans are arranged efficiently and cost effectively directly between borrowers and lenders with transactions being facilitated through the use of an online marketplace such as Grow Financial (formerly Grouplend) and InvestNextDoor. Crowdlending portals connect borrowers and lenders directly giving investors (lenders) the opportunity to lend money (usually for short term periods) to borrowers they connect with online who turn around and repay the loan principle plus interest. The loans given through crowdlending portals are paid back without the involvement with a traditional financial intermediary such as the bank, so the rate of return is more profitable for an lender, and beneficial for the borrower. Crowdlending makes the process of loaning more cost-efficient and use-efficient. Tabitha Creighton, CEO and co-founder of InvestNextDoor, a crowdlending marketplace for small businesses to borrow from investors in their communities. Kevin Sandhu, CEO of Grow Financial (formerly Grouplend), a Canadian peer to peer (P2P) lending portal. What’s so Great About crowlending for businesses? When a Crowdlending investor (rather than a remote investor or bank) puts his/her money into a local business through InvestNextDoor, the money stays within that community, which translates to a redistribution pattern that triples the initial investment (this is something Tabitha talks about in our panel discussion). InvestNextDoor is tracking this trend in their Social Impact Index, which is launching soon. It ranks the relative social impact of the investments taking place on the portal. 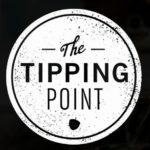 GroupLend, which is a soon-to-be-operative consumer lending platform, caters to a market seeking socially responsible alternatives to credit cards. Effectively disintermediating the flow of money from investor to individual borrower makes for a more efficient, and reliable platform than the standard ones in place currently. In our conversation, Kevin talks about how there’s a huge economic and social benefit for both investor and borrower. Crowdlending is still in its beginning stages, so there are plenty of trials for these models to go through for them to become common and established ways to give and receive loans. 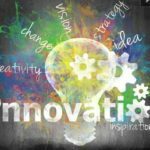 However, as the current lending models show weaknesses (i.e., risk tolerance, cost of capital) and become antiquated, it is only natural that new models are being developed and in this case by the community that it services to help (novel idea!). 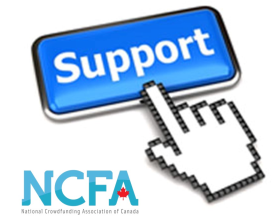 By building off of the early success crowdlending has found in the US, Canada must put regulations in place which enable companies and individuals new financial tools to both borrow and lend capital on sites like GroupLend.